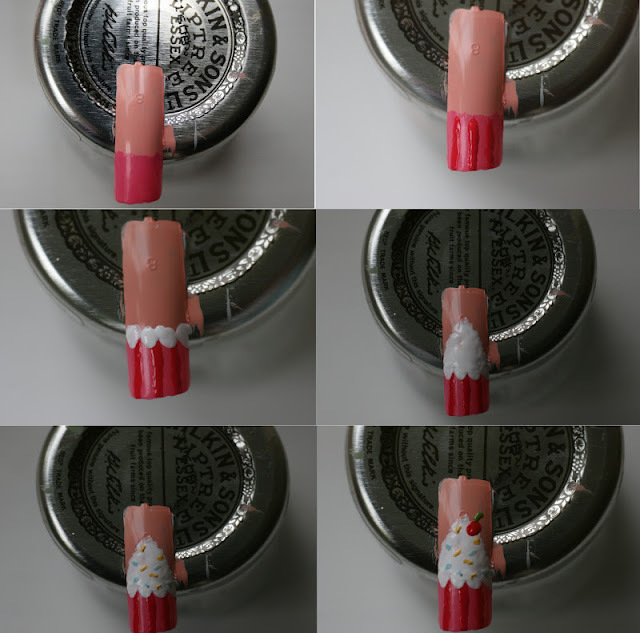 How to: Cupcake Nail's | S J M W E L L - Fashion, Beauty & Lifestyle blog. After posting about my nails of the day here and a few of you saying yes to a 'How To' I thought I'd post exactly that. How I did these cute little cup's of cake! I find them super simple and quite quick to do, even though they can look a little bit tricky when you look at them. All I would recommend is making sure the polish is fully dry before moving on to each step. I didn't actually use any 'nail tools' for this such as dotting Tool's. Cocktail stick's and sewing pin's was all, so hopefully everyone can have a go at doing them! My lines of the cupcake wrapper aren't as neat as I would like because I didn't use a brush but it's nothing a good top coat won't erase. Seche Vite saves the day. Let me know if you give these a try! WOOOOOOW sooo SWEET!!!! I saw this post yesterday and I wanted to give it a try. Unfortunately, it didn't came up that great as yours! 3 Top pick's - Winter boot's for £20 or under!